We get all excited when we see publications describing a loft conversion as being 1 of the best ways of adding value to your home and increasing your living space because we love what we do, especially when it has double benefits to your life and your pocket. But with so much to consider where do you start? Don’t rush into it. Do your research! Adding value to your family life and adding value to your home is ultimately the priority when deciding for a loft conversion but you have to get it right first time to avoid later disappointment and to avoid downsizing on your return on your investment. Do you research first and get your spec right first time because being practical first time, means a perfect loft at the end. Most 1920, 1930’s and other period style homes in North London have the potential for a conversion but it’s worth getting expert advice from a loft conversion specialist or an architect to find out the possibility for your home so assessing your roof and footprint is vital. They will be able to give you ideas and bounce off your ideas to address feasibility too. Ask your neighbour what works for them in their loft and what doesn’t. Get a feel for space and think what you would like to do better for your loft conversion. Review their electrical lighting and switch points. What can you expect from a loft conversion? You may have the best neighbours in the world before you start your construction but don’t forget they will have to endure dust and noise during your process and the possibility of some cosmetic or even (worst case scenario) small structural damage to their homes so it’s best to get a party wall agreement so they are aware of all the works you will undergo and have reassurance that their property will be repaired if needed – potential costs per agreement/per neighbour can amount up to £2k to £3k each before you start the conversion. How much value could you add to your home? 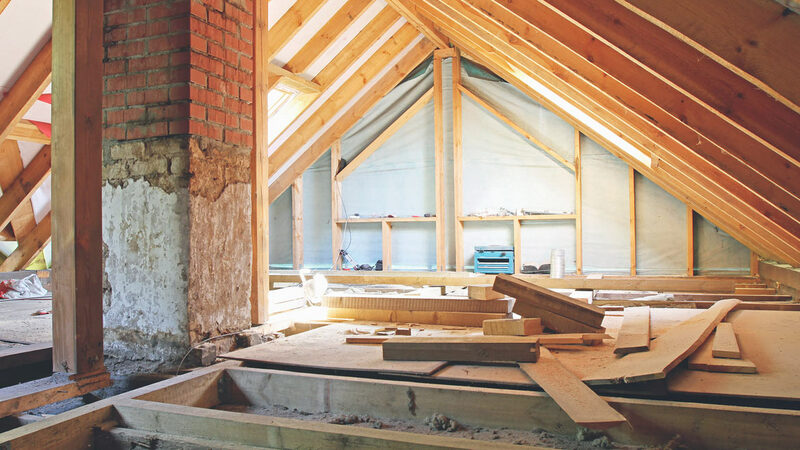 Nationwide Building Society have done some recent research into the value a loft conversion will add to a home and have stated that up to 20% more property value can be added with the extension of a loft conversion. So homes valued at £400k in North London could expect a value enhancement of up to £80k when adding in a double bedroom and bathroom. Now that is a tidy profit and worth the hassle if you have only spent £40k on the entire loft conversion.